When Kyle Kashuv, one of the more prominent figures in the ongoing debate about what to do to reduce high school mass shootings, went to a shooting range with his father last Friday, the first thing he did was post some pictures and some pro-Second Amendment comments on Twitter. Sarcasm, in the hands of an expert, can elucidate without harm. 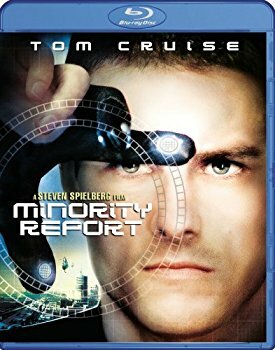 In the hands of an amateur, it offends and reveals a supercilious attitude toward the intended victim. Rex Huppke is an amateur. Effingham County, Illinois, Declares Itself a Sanctuary — for Gun Owners! It wasn’t the Rasmussen poll on Tuesday that upset members of the mainstream media. They have long since written off Rasmussen’s polls as biased towards Republicans. So when Rasmussen reported on Tuesday that President Trump’s approval rating rose to 51 percent — the third time this year that his rating has been at 50 percent or above — they all but ignored it. It’s not surprising that after little more than a year in office, many people who voted for the president still support him. But it’s also surprising that a president who has been the object of more negative reporting than any in our history still enjoys something like the same middling base of support he had before taking office. Unless it’s the negative reporting that is the problem, which I suspect is very largely the case…. The completely unplanned, unstaged, unfunded, and spontaneous gathering of 75 students outside Rockledge High School in Brevard County, Florida, last Friday morning was almost completely ignored by the mainstream media. Organized by Chloe Deaton, a sophomore, and Anna Delaney, a junior, the event lasted 20 minutes, just long enough to make their point: Other students in the same high school and around the country who urged more infringements on the people’s right to keep and bear arms didn’t speak for them. After playing the national anthem (no one kneeled) and “God Bless America” on loudspeakers set up on the school’s track, Delaney told her classmates, “We were built on certain rights and that was one of the original rights, that we should have the right to bear arms.” She can be forgiven for failing to note that the right to self-defense and, thereby, the access to tools useful for self-defense are natural rights and pre-date the Constitution. 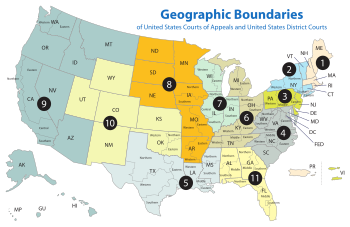 Map of the geographic boundaries of the various United States Courts of Appeals and United States District Courts. With the death last week of “liberal lion” Judge Stephen Reinhardt of the Ninth Circuit Court of Appeals, there are now seven vacancies on the 29-judge court — a court so liberal that 80 percent of its decision are reversed when appealed to the Supreme Court. However, the unusual number of vacancies means one fourth of the composition of the Ninth Circuit could be Trump nominees, not enough to make it conservative but enough to move the court to the right. 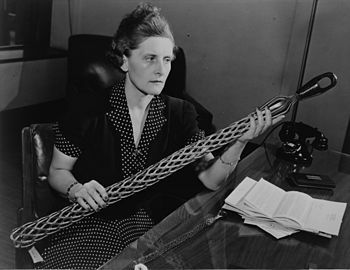 Vivien Kellems, along with her brother Edgar, invented a specialized cable grip for electrical cables and founded Kellems Cable Grips in 1927. The company prospered. But in 1943, during the Second World War, Congress passed the Tax Payment Act, which required the payers of wages, not the receiver of wages, to withhold estimated taxes and remit them quarterly to the Bureau of Internal Revenue (later called the IRS). They didn’t, and instead simply seized the amount the agency thought she owed from her company bank account. She sued in federal court and finally got her money back. One of the many factors behind the decision by the board to seek bankruptcy protection for Remington Arms on Sunday was likely the pending lawsuit against the company stemming from the 2012 Sandy Hook massacre. 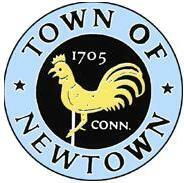 The 40-page lawsuit, filed two years after the horrific murder of 20 children in Newtown, Connecticut, names as defendants not only Remington Arms (the maker of the Bushmaster semi-automatic rifle that Adam Lanza used on December 14, 2012 to commit those murders) but the entire supply chain. The suit named Camfour, the distributor; and Riverview Sales, the retail gun store where Adam’s mother, Nancy Lanza, purchased the weapon. 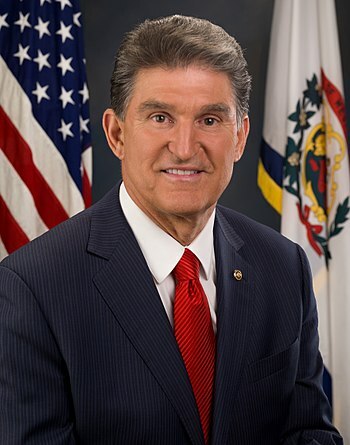 Democrat Senator Joe Manchin of West Virginia, one of many in trouble in November. Results of a poll of likely voters released on Thursday spell trouble — serious trouble — for at least five of the 10 Senate Democrats running for reelection in November in states carried by Trump in 2016. The poll, conducted by Axios/Survey Monkey from February 12 through March 5, shows Democrat senators in Montana, West Virginia, Missouri, Indiana, and North Dakota in deep trouble. The other five, in Wisconsin, Michigan, Ohio, Pennsylvania, and Florida, aren’t out of the woods by any means. If it’s true that voters will vote their pocketbooks in November, a steadily improving economy would spell trouble for more than just these endangered five senators. The Wall Street Journal just reported that voters’ total net worth — including all assets such as stocks, 401(k) plans, and real estate, minus outstanding credit card-debt and mortgage balances — rose in the last quarter of 2017 by more than $2 trillion to a record $98 trillion. That’s nearly seven times their disposable annual income, giving them not only a nice cushion in the event of an unhappy accident but increasing confidence in their financial futures. And those financial futures are especially important to young voters, as reported just before the 2016 presidential election by USA Today. Globalist Trump Advisor Gone, Will Americanist Take His Place? 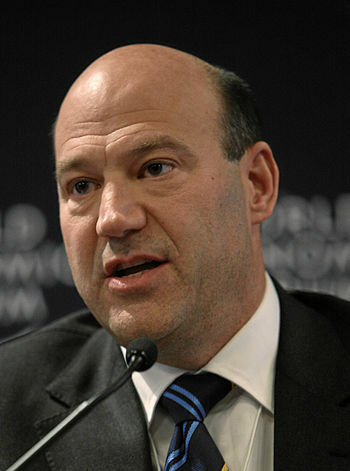 Following the president’s decision to impose tariffs on aluminum and steel imports, Donald Trump’s chief economic advisor, Gary Cohn, announced his resignation on Tuesday. Cohn had led a team pushing Trump not to impose those tariffs, but lost out to another team pushing to keep America first. Wall Street took the news poorly, thinking that those tariffs could lead to a trade war. But the Wall Street Journal intimated indirectly in its coverage that something much different, and vastly more important, is at stake. 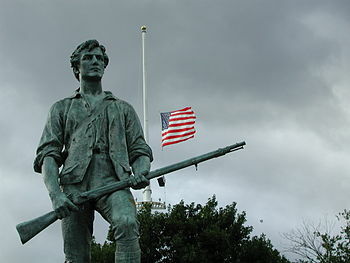 Do Anti-gun Democrats Have a Death Wish, Offering a Gun Ban Bill in an Election year? When the liberal Huffington Post did its research, it was horrified to find not only that the worst political disasters took place during mid-term elections, but that third on the list was the cleansing of anti-gun Democrats in the 1994 midterms. Voters, outraged at their passage of the Federal Assault Weapons Ban (aka the Clinton assault weapons ban), removed eight Democrat senators and 56 House Democrats. 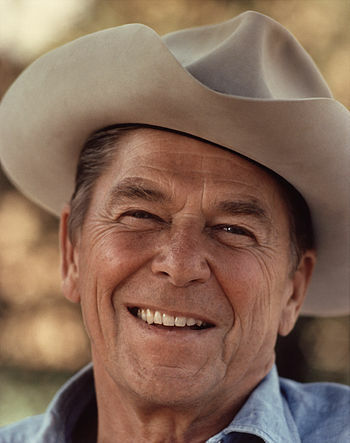 This resulted in the first time Republicans were in control of the House since Eisenhower. Guilty of not knowing or remembering their political history are some 165 House Democrats who have signed on to a bill echoing Clinton’s gun ban: Rep. David Cicilline’s Assault Weapons Ban of 2018. Cicilline’s bill prohibits the “sale, transfer, production, and importation” of semi-automatic rifles and pistols that can hold a detachable magazine, as well as semi-automatic rifles with a magazine that can hold more than 10 rounds” of ammunition. Also to be banned would be semi-automatic shotguns and magazines capable of holding more than 10 rounds of ammunition. 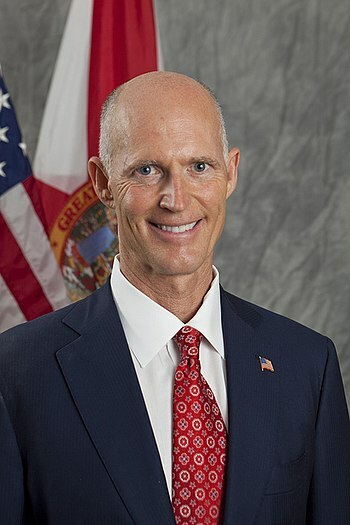 His bill lists 205 specific firearms that would be prohibited, including the AK-47 and the AR-15. These anti-gun pols also have forgotten why the Clinton-era gun ban failed to be resurrected in 2004: there was no credible evidence from any source that it had any impact on gun violence. As recently as April 17, 2013, the Senate voted down a measure that would have restored it, 40 to 60.